Why replace interactive white boards with CleverTouch? 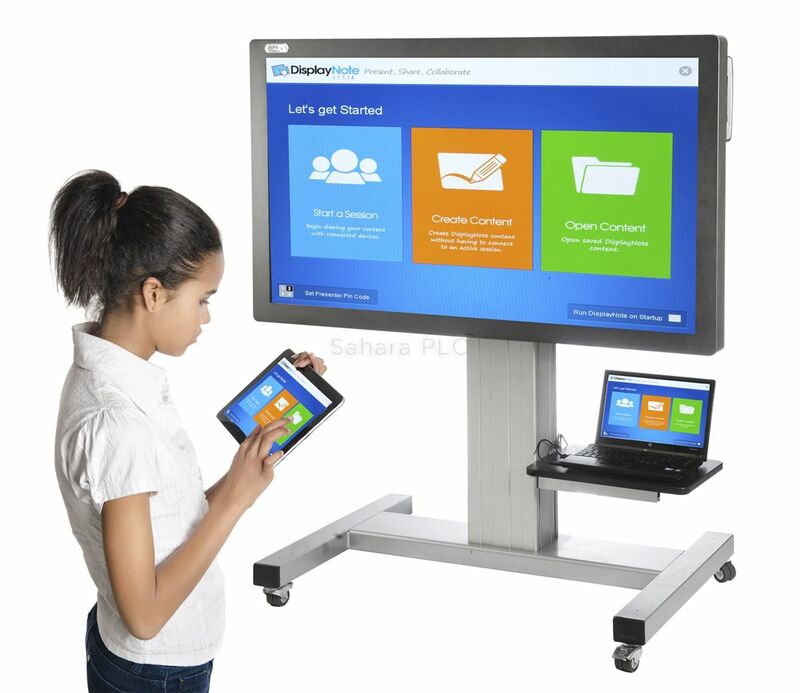 Using a CleverTouch IFPD is more economical than an interactive whiteboard and projector. There are no costly consumables such as lamps or filters and no downtime whilst a new lamp is on order. The power consumption of a CleverTouch is less than that of a traditional whiteboard solution with a projector, amplifier and speakers so offering a financial saving. With many schools trying to reduce their carbon footprint as well as needing to cut costs, this is worthy of serious consideration. Because there is no projector, there is no risk of a child or a teacher being in the path of a bright light source. There is no shadowing cast by the teacher as they work on the CleverTouch’s screen and the crystal clear display offers good viewing angles and a crisp, sharp HD image. CleverTouch screens are durable and hardwearing being made of toughened 5mm safety glass and sturdy steel frames. CleverTouch’s screen does not require specific pens which means no more hunting for the missing black/yellow/red and no pricey replacements when they can’t be found. Calibration is not required and software drivers are pre-loaded. Truly plug ‘n play. Every CleverTouch comes with the impressive Clever Software Suite comprising CleverLynx, Wordwall and DisplayNote. The Lynx and WordWall software licenses are for life so there are no costly renewals and all upgrades are free and readily available via our website. Lessons that have been created using other software packages and stored as CFF files are able to be used on CleverTouch meaning that a roll out of CleverTouch screens to replace existing interactive whiteboards will not affect compatibility across a school site. These days children are very familiar and adept with touch screen technology. With the wide use of tablets and smart phones at home, children find CleverTouch intuitive to use and an engaging way to learn. Using a CleverTouch is a fun, interesting and informative way to deliver the curriculum. Collaboration amongst pupils is proven to improve the dynamic of a classroom. Using a CleverTouch with our software DisplayNote means that a class can share ideas and students can share their work with their teacher and other students effectively in real time. Presenters can mirror content from their PC or Mac to any connected participant’s device whether they’re in the same room or connecting remotely. Additionally, Cloud functionality enables users to collaborate, share content and ideas with other departments, in other locations and on other devices. All CleverTouch displays come with a three year warranty. CleverTouch was the first HD touch screen solution for the education market and is the market leader in this sector in the UK and the EMEA region. For visuals, go to our site - http://www.marsdengrant.com/clevertouch-led-range and contact Chris Ogilvie-Taylor at cot@marsdengrant.com for pricing.